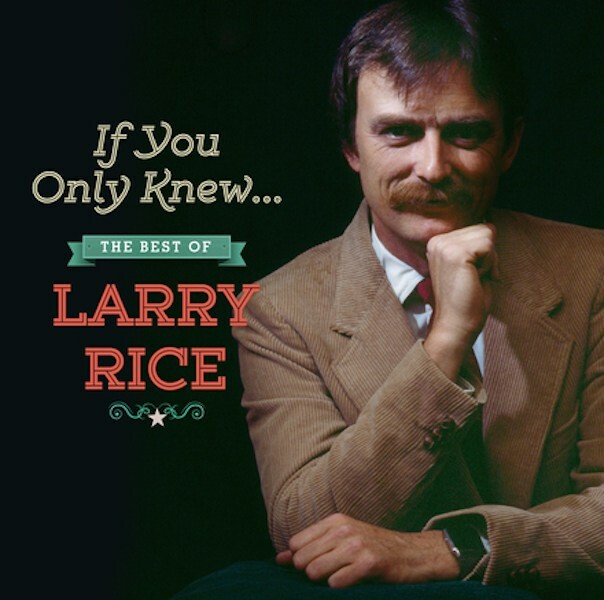 Rebel Records has announced the release of If You Only Knew, a new 16-song anthology dedicated to the late Larry Rice. This “Best Of” collection draws from the five albums Larry recorded for Rebel, beginning with 1986’s Hurricanes and Daydreams LP on up through his last project Clouds Over Carolina released just a year before his passing in 2006. Physical and digital versions of the album release next Tuesday, September 30th. We are so delighted to put this project out on Larry. He was such an excellent mandolin picker, singer and songwriter but never truly got the recognition he deserved. I guess he could be called a ‘journeyman’ musician—never really in the spotlight but well-appreciated by other artists and hard-core bluegrass fans. I think folks will realize he was all that and more when they listen to this collection– Dave Freeman, Rebel Records owner. Larry’s musical career started in California when he and his brothers Tony and Ronnie began performing as “The Haphazards” and then later in other configurations—developing strong reputations in the local community there. By his mid-20s, Larry had moved eastward to Kentucky where he soon found himself playing mandolin and singing harmony with J.D. Crowe in one of Crowe’s earliest and best bands ever, The Kentucky Mountain Boys. In a five-year stint with Crowe at the Holiday Inn in Lexington, Kentucky (a very unusual “high-class” gig at the time), Larry Rice became a fairly well-known name; however, Crowe traveled little in those days and, for the most part, only dedicated insiders had a chance to notice Rice’s talents. Larry’s solo recording career began after his tenure with Crowe and included an initial release on the King Bluegrass label, Mr. Poverty, followed by the five albums for Rebel that make up the basis of this collection. In addition to his solo output, Larry also performed and recorded in a variety of combinations with other musicians for other labels,including two collaborative efforts with his brothers as well as three very-well received recordings featuring Larry, Tony and their friends Chris Hillman and Herb Pedersen. From his earliest recordings, it was clear Larry was an outstanding mandolin player—a fact not recognized by many today. His syncopated picking style was quite different from that of most mandolinists of the time, many of whom featured a style closer to that of the bluegrass master, Bill Monroe. But what is probably most intriguing about Larry’s music is the songs that he wrote (as well as his choice of other material from writers like Bob Dylan, Gordon Lightfoot and Bill Monroe). Many of his own songs reflect a sardonic, often cynical view of life and the difficulties it can bring to those who, for one reason or another, are down and out. Listen to “Plastic People Town,” “Unemployment Line” and Tony Rice’s fine number “Never Meant to Be,” as well as Arthur Hancock’s lovely “Sunday Silence.” Other highlights on the album collection include Jim Buchanan’s excellent “Aunt Mary’s Spring” and an instrumental duet with brother Tony on “Coo Coo’s Nest.” On almost all of his recordings Larry called on his brother Tony for his unmatched guitar work and this album is no exception, with Tony providing some amazing picking on no less than 11 of the 16 tracks.